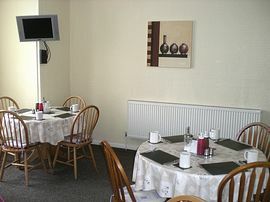 WiFi and flat screen freeview TV's in every room. Park House B and B is situated 1.5 miles into Leeds city centre, making any travelling for business/nightlife very accessible. 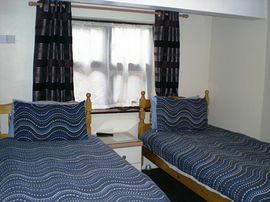 All rooms are en suite, with a TV and have tea/coffee making facilities. Other local amenities are: White Rose Shopping Complex, three minutes drive, South Leeds Stadium, two minutes drive and Elland Road Stadium three minutes drive. We also welcome hen and stag parties and can help you decide which restaurants and bars/clubs to spend your evening in. Price includes a traditional full English breakfast as well as breakfast cereals being available. There is a vegan option. We do offer prices without breakfast. There is discount available for stays for more than seven days or more. Smoking Facilities: Smoking is not allowed. The whole premises is a no smoking zone. Special Diets Provision: Special diets are catered for. We offer a vegetarian option for vegetarians. Park House is located within a couple of minutes drive from the major motorway networks of the M1 and the M62. From the M621 exit at Junction 5 and follow signs for Hunslet and Beeston and South Leeds Stadium and take the A653 to Dewsbury Road. With a stop located directly outside the bed and breakfast there are numerous buses which travel to Park House, and to the city centre. The services operate quite frequently, with a bus service every couple of minutes. There are regular and reliable taxis which operate to and from Leeds and Bradford International Airport as well as Leeds Train Station.